Several people have taken to social media to post photos of the severe sunburns they allegedly received after using a sunscreen made by the Honest Company, an eco-friendly brand co-founded and promoted by actress Jessica Alba. According to the company’s web site, the product is said to be a “natural, unscented, broad-spectrum SPF 30 mineral sunscreen” that provides “safe sun protection for the whole family.” But many consumers are speaking out, alleging that the sunscreen hardly did what it was supposed to. In response to the complaints posted online, the Honest Company released a statement saying that they use an independent third party to test their sunscreen and have received positive results. In the statement, the company also claims that the number of complaints against the product on their web site make up no more than 0.5% of the total units sold through the site. As a result, they “stand behind the safety and efficacy of this product.” They also maintain that their sunscreen meets the requirements set out by the U.S. Food and Drug Administration (FDA) when the product is used as directed. 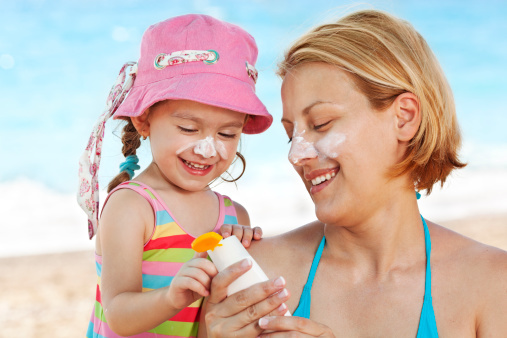 However, Chicago’s NBC5 did an investigation on the product and discovered that the sunscreen now only allegedly contains 9.3% of the protecting ingredient zinc oxide. Most sunscreens sit at about 18% to 25%—the Honest Company’s formula used to fall within that range at 20%, but they seem to have dropped their percentage since. That being said, the brand says that they’ve been transparent about the changes to their formula when it was revised in early 2015 and have added other ingredients to compensate for the lower zinc oxide percentage. Greenberg, A., “Users of Jessica Alba’s Honest Company Sunscreen Are Posting Photos of Epic Sunburns,” TIME web site, August 3, 2015; http://time.com/3981643/jessica-alba-honest-company-organic-sunscreen-sunburn/.